Their spices are whole toasted, ground, and blended just a few days before they ship them to you-which means they're fresh! 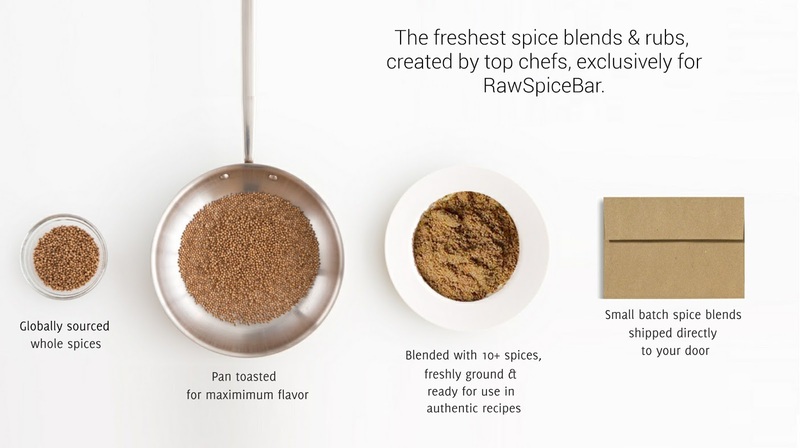 They're also perfectly portioned to create a dish that serves 6-10 (so they don't just sit on your shelf for-evahhhh) and each blend comes with at least 4-5 different recipe ideas that the folks over at RawSpiceBar have tested (and they also always include options for vegans, carnivores, AND vegetarians)! I was lucky enough to get a shipment sent to my house with a lot of fun and unique spice blends and one of you lucky readers has the opportunity to win a 6 MONTH subscription!! Enter away!